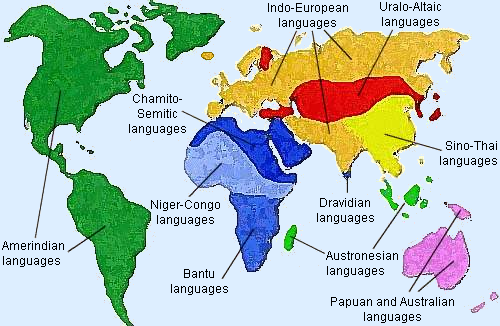 The linguists usually count around 7,000 languages, and several thousands dialects can also be added. The table below (which shows about 800 main languages) is only a glimpse of the huge diversity of languages. To find a language in the table, you can use the Edit, Search function of your browser. Extinct languages are usually not cited. Please note that the number of speakers is for information only, as it is very hard to know the exact number of speakers of a language. If you have more accurate information, please contact us. For a comprehensive classification of all existing languages, we recommend the website of the Summer Institute of Linguistics in Texas. 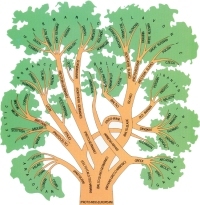 It is the biggest database available on the web concerning languages and their classification. © Beaumont 2001-2019 - Please request an authorization before any reproduction, in whole or in part.